Hi guys! Just wanted to stop by and ask you a question or two. A few people have e-mailed and asked me to write a guest post for them, and one of the questions they asked was if I’ve written a book or have any plans to write one. I’ve given it some serious thought and prayed about it, and I’m seriously considering writing a book about my life. My question to readers is would you actually take the time to read my book? I wouldn’t bombard you with a medical guide about spina bifida, but would share my insights and stories that I’ve had or experienced during my life. Also, what kinds of things would you actually like me to include in the book? What makes you stop and say, “Hmm, I wonder what Jason thinks about (fill in the blank), or I wonder what Jason would do if _________?” I want you to actually “help” me write the book. Your feedback may make the book that much more powerful and make people want to learn more about the real Jason Bourne. Drop a comment in the little box or send me an e-mail. I look forward to hearing from you!! “I am free. Completely free. I cannot believe it. I did it!” Those were the thoughts running through my mind after I successfully stopped abusing laxatives. I was thrilled, proud, over the moon, but I was also terrified. 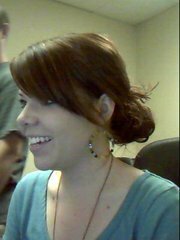 And while it was true, I was freer, a part of myself still held on to my eating disorder and my addiction. 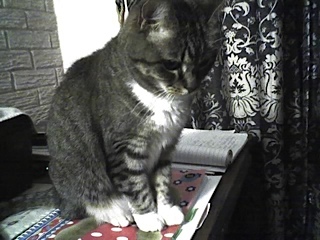 After all, we shared a close attachment for 14 years. Although it will take more time to completely let go, the differences between the life with anorexia nervosa and the life in recovery are enormous. A typical day, a year ago, was dictated by the voice in my head. I had to follow orders or disaster would arise. Today, I am the only one doing the talking and the acting. A year ago, my life was a sea of hopeless desperation. I was carrying around feelings of absolute failure. I was constantly counting calories and agonized over the impending daily workouts. Today, I am full of energy and enthusiasm. I can focus all of my attention on being creative, and I don’t completely obsess over food anymore. I spend my days having fun and enjoying what I am doing and, with that, I am experiencing a level of freedom I have never known before. And on top of that, I have grown as a human being in ways I could have never imagined. I began to love myself for the very first time. I acknowledged my weaknesses and embraced my flaws. But I also regained trust in my many abilities. Today, life is exciting, and the future looks amazing and full of opportunities. Achieving this stage was not easy. In fact, it was more difficult than maintaining my eating disorder for so many years. However, it was one of the most rewarding processes of my life. With each day, I grew and transformed a bit more, and I learned many invaluable things about myself. I formed a relationship with myself, instead of deepening the one I had with my eating disorder. I learned that it is OK to concentrate on myself from time to time and that it is important to take care of myself and my body. A body that looks so different now than it did a year ago. A body that finally looks like a women’s body instead of a child’s. At first, it was not easy coming to terms with the fact that I had to gain weight, and I needed a few months to adjust to my new body. But over time, I accepted it and even began to love my curves. I am a woman now, so why can’t my body show that? It has been more than a year now since I initially committed to recovery, and sometimes I cannot believe how far I have come. However, since I am a human being, I sometimes slip and fall, and so setbacks are inevitable. A recent world trip was a reminder that my base is still a bit fragile. My husband and I recently went on a trip to Australia and Bali. It was a chance of a lifetime, and I was beyond excited to travel to places I had always dreamed of. I have always loved to travel. It was one of my earliest passions. My parents made sure that we would see the world from an early age on. We would travel around Europe when I was little, seeing France, Italy, Switzerland, the Netherlands, Germany (of course), Spain and so many more countries. Even during those early trips, the scale was always with me. I couldn’t leave it at home. I had to be in control. This created many arguments with my parents, many tears were shed because I had gained weight, many vacations were ruined. When I was 13 years old, my father arranged for me to be able to stay at a friend’s house in Chicago. This was the first time that I would travel to the U.S., and I was traveling alone. I enjoyed myself a lot, but the voice in my head was constantly berating me for eating too much, for gaining too much weight and for not deserving to have fun. I would travel around the world even when my illness was the worst. I would enjoy myself and be excited about exploring new places, but I was never truly free. 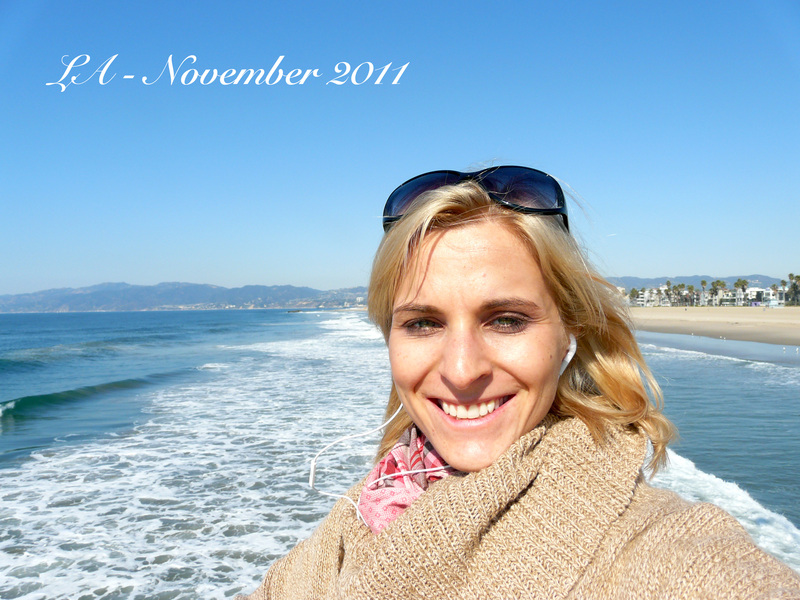 When I traveled to L.A. last November, everything was different. I did not fear going out to dinner with my friends. I did not feel guilty over drinking a mocha. I was able to just be in the moment. So, I thought that I was ready to go on a longer trip. The first few days at the other end of the world were fabulous. Arriving in Sydney after being in the air for almost 24 hours was amazing. Being able to walk around in shirts in late November was a welcome change. We settled in fairly quickly, met friends, did some sightseeing and enjoyed each other’s company. I ate regularly, not even feeling overwhelmed by having to choose from a menu. However, after flying to Melbourne for a couple of days, I started restricting again, dark thoughts arose of not being allowed to eat breakfast or lunch. Then I would binge at dinner. This vicious circle accompanied me during the rest of the trip. I felt bad again, cried often, feeling trapped in my own body again. My thoughts were torturing me. I tried to be brave and not ruin everything for my husband. We were able to have many wonderful moments, and we saw so many incredible sights (the Sydney Opera being one of them), but my dark passenger was always there. In Bali, I was constantly going back and forth between wanting to eat and wanting to stop. I wanted to enjoy the special delicatessen of Bali, wanted to try to delicious cakes they served during high tea every afternoon. But could I deal with gaining weight? Would I lose control? I decided to try it. It was a chance I would not have again for a while, so I had to use it. It wasn’t easy. I was restless, hardly able to appreciate the beauty around us. I felt discouraged, wishing I could be totally free. But I pushed through these feelings and tried to make the best of the situation. We saw a lot of the island, and it was breathtakingly beautiful. My husband and I both fell in love with the people and the peaceful spirit of this little island. Am I sad that I couldn’t totally let go? Yes. Would I change anything about the trip? Yes. I would not go away from home for such a long time this early on in recovery. I would prepare myself better, would make meal plans and detailed coping plans. However, I am beyond grateful for having learned another lesson, and I am sure that I will be able to implement many of the things I learned on future vacations. Life is a journey and so is recovery. Learning lessons is part of the deal. Some are larger, some are smaller, but they are all important. The way to health is not always fun, and I have taken many detours, but overall, I am proud of where I am today, and I am excited for the next part of this trip. Anne-Sophie Reinhardt is a blogger, podcaster and digital entrepreneur. After struggling from Anorexia Nervosa for 14 years, she recovered and is now helping others who are trying to do the same. 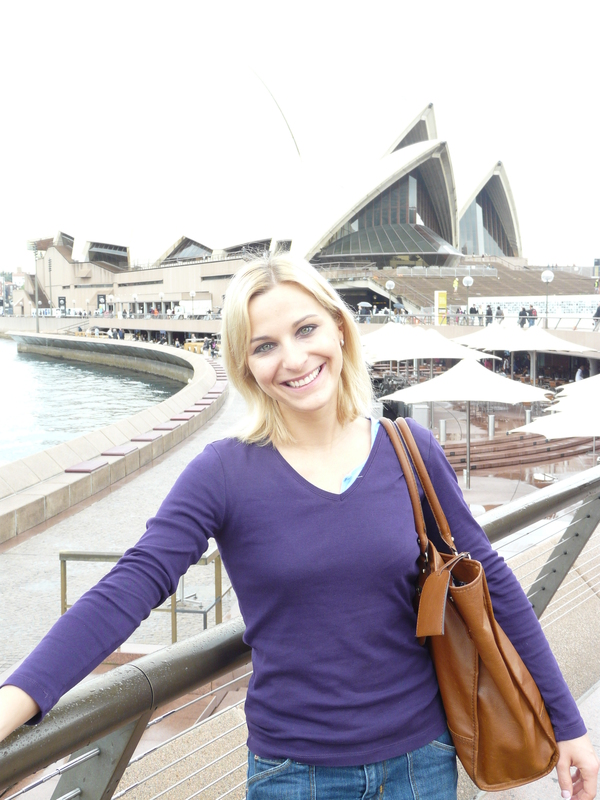 If you would like to engage with Anne-Sophie beyond her blog, she offers 1:1 consulting! Just send her an e-mail. Podcasting was something that literally saved my life. Back in 2007, when I was super depressed, spending my time in bed, not being able to sleep, but too weak to get up, I started listening to gspn.tv podcasts. Cliff and Stephanie Ravenscraft, now close friends of mine, helped me regain the belief that people could be good. I started opening up and coming out of my isolation again. Over the years, I have found many friends through podcasts, friends who have been there for me throughout the years, helping me fight my illness and supporting me in ways I could have never dreamed of. I had been playing around with the idea of having my own podcast for a while. But I was too self-conscious and had many doubts. What would I say? Would anybody even listen? Is my English good enough? When I was at the treatment facility last year, I decided that learning how to podcast would be a good way to distract my thoughts and to spend all of my free time between therapy sessions. So, I participated in one of Cliff’s “Podcasting A to Z classes.” However, it took me another couple of months and a phone call with Cliff to take action and just get the first episode of My Intercontinental Life out there. After this episode, I was hooked. I started three other podcasts in a short amount of time: Fighting Anorexia, Raus aus der Magersucht and The West Wing Podcast. Even though I haven’t been recording for more than six months, I am noticing how much better I am getting every single time. It is a fun way of sharing my life, the lessons I have learned, the struggles that I am facing in recovery with others. By doing the Fighting Anorexia podcast, I have found yet another way of helping those who are fighting against this disease and feel completely alone. While My Intercontinental Life is simply my audio journal that takes no preparation time, the Fighting Anorexia podcast takes a lot of work. Depending on the subject that I choose to talk about, I will research and think of personal stories that can underline what I am suggesting. I usually need four to five hours to prepare one podcast episode. But, just like blogging, I enjoy it tremendously. At the beginning, I used my iPhone and an app called iTalk to record the audio. After a while I invested in a mixer, audio recorder and a microphone. The sound quality has improved a lot, and I feel much more professional. A fantastic resource for learning how to podcast is the free Podcasting 101 tutorial that Cliff Ravenscraft created. If you need additional help, feel free to ask me for 1:1 training. Becoming a writer has been dream in the back of my mind since I was young, but I never pursued writing until after my daughter was born. Eight years ago was the busiest time in my life with three young children, one of them being a special-needs child, but believe it or not this was when my focus became clear on what was really important—and one is to turn your dreams to reality. Although I’d always wanted to write, it was not something I shared, and it wasn’t until I received an offer for publication for my first novel that I shared it with my family and friends. In 2009, my first novel, “The Captain’s Lady,” was published. 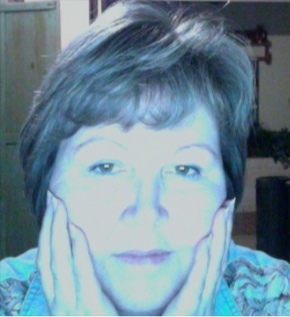 I’ve written three full-length novels and one young adult historical. Two of my novels are contemporary romances, and one is a romantic suspense filled with an element of mystery, the first of a series. The young adult historical, “A Father’s Love,” is fully illustrated by Vancouver Island artist Sherrill Welz for all those young readers who love a short story filled with adventure, mystery and suspense. My contemporary romances are “The Captain’s Lady” and “The Forgotten Child.” “The Forgotten Child” is my newest release, a western romance surrounding a man betrayed by the wife who abandoned him and his autistic son, and the woman who loves them now. Reviews have been exceptional, so have the steady rise in sales. My romantic suspense, “The Choice,” is the first book in “Walk the Right Road” series, and the sequel “Lost and Found” is scheduled to be released next month. Persistence! Don’t give up, which has actually become part of my vocabulary, and if something isn’t working out the way you’re approaching it, re-evaluate and come at it in a different direction. This business is filled with criticism, so you must develop a thick skin, tune out all ill-wishers and align yourself with positive people who are in this business to succeed in a positive way to help others. One of the most important lessons is to overcome procrastination and learn that in order to have a great novel you’ll need to rewrite your story so many times you’ll become sick of seeing it. Seek out professionals. Hire them to edit your work and really listen to the feedback they give you to help improve your novel—you’re writing. Become an expert in your industry. What I mean by that is it’s essential to study your market, know what’s going on in the industry and remember don’t blindly sign on with a publisher if it’s not in your best interest. Recently technology has become available allowing authors to take charge of their own career. I’m both self-published and traditionally. But even though I’m self-published, I still hire a professional editor and cover artist to ensure my novel and its presentation is the finest it can be. 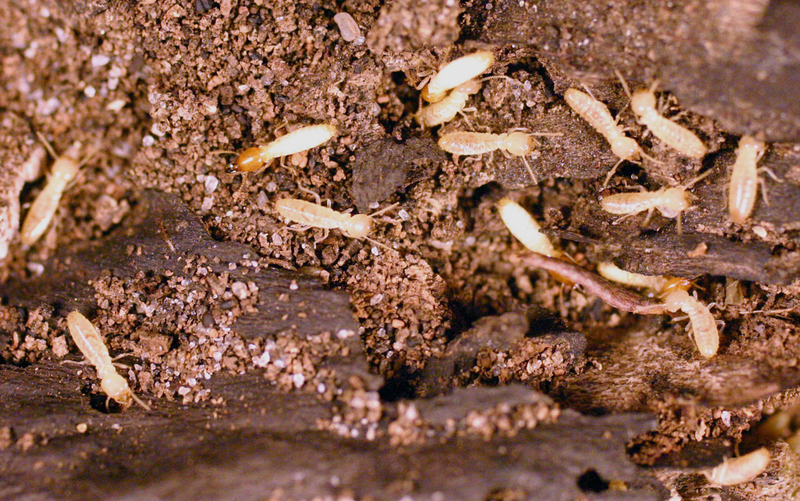 You need to like your own company in order to write because it’s an isolated occupation. If you truly want to write, then write and don’t let anything stand in your way. Be persistent and make time every day to write. It’s important as well if you decide to self-publish that you hire a professional editor and book cover designer. You want to put your best foot forward. Presentation is everything, and the criticism directed at self-published authors is much harsher than traditionally published. Absolutely. It’s the opportunity to tell your story and get it in front of a great number of people to read. I believe we all have a message in our stories–knowledge to share with others. I like to be able share some of what I’ve learned in life with others and found the written word to be quite a powerful tool. Writing helps to keep me in balance and in the present so whatever life deals my way I’m dealing with in a more grounded, calm manner. Writing was always an essential part of my professional careers, as a teacher of deaf children, television executive and interior designer, but it wasn’t until the mid-90s that I began to get formal writing assignments. I started interviewing and writing profiles about Hollywood directors, producers and athletes for a major film and television magazine, and that got me hooked. What book or books have you written? I like to write about things I’m passionate about. I always had a fascination with Hollywood and interior design. 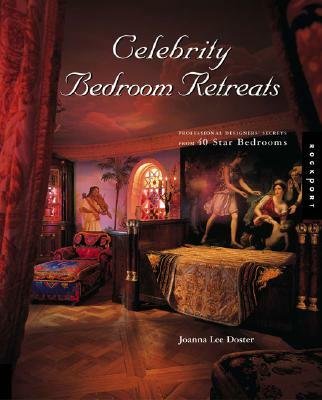 In the late 90s, a few years after receiving my interior design degree, I conceived my first book, “Celebrity Bedroom Retreats” (Rockport Publishers, 2002), after a dream I had about what famous peoples’ inner sanctums look like. Do their bedrooms truly reflect their personalities and tastes? What did Einstein’s bedroom look like or Princess Diana’s? What books were they reading? What collections or art work did they have? My book took off from there, and although I didn’t design the celebrities’ bedrooms, I interviewed them and their designers and wrote all about it, and my book became a big hit. 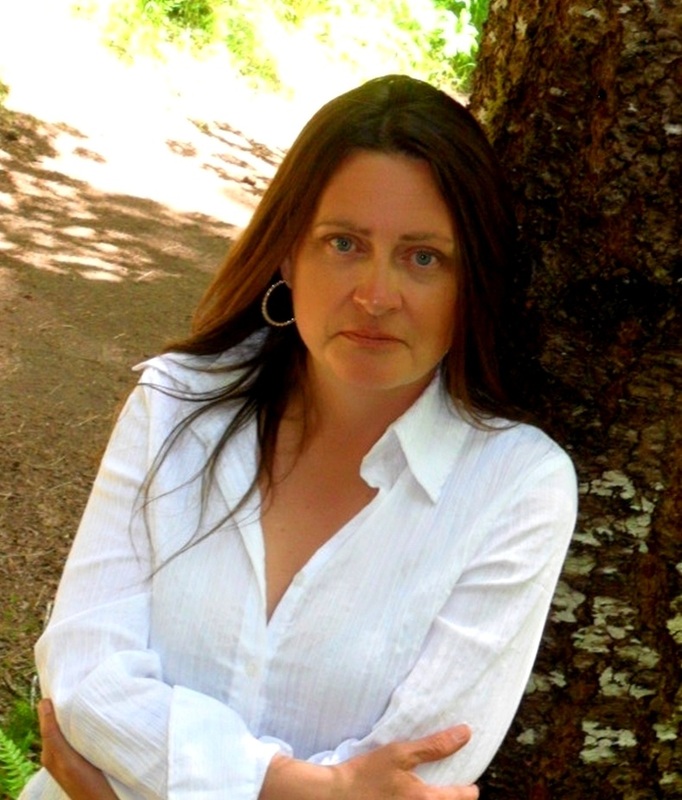 A desire to write epic stories and my love of mysteries switched me from writing non-fiction to fiction. I had a family of interesting characters dancing around in my head, and I started to write about them. About the same time my husband began to take me to car races, and I soon became enamored with stock car racing and monster truck shows. Thus, my book “Maximum Speed: Pushing The Limit” was born. 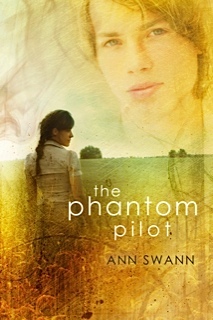 It’s about an amazing stock car racing family caught up in a web of danger. I have become a stock car racing fanatic. I love the discipline, determination, endurance and focus that these racers have. It’s not just driving around blindly; it takes Herculean strength and extreme tenacity as I mentioned before. Those characteristics also helped me mold my hero racer, Sean Devlin, and show what these racers are made of. I’m working on the second “Maximum Speed” book now. You mentioned earlier that you taught deaf students and worked with celebrities. Did they inspire your writing? In what ways? I taught brain-damaged, multiply handicapped deaf children: schizophrenic, multiple sclerosis, autistic, learning-impaired deaf children. It was very difficult emotionally for me, being in my early 20s, dealing with 12 students who had such severe problems and were deprived in so many other ways. I was all by myself in the classroom all day. I had to learn to use my ingenuity. Helen Keller said her deafness was worse than her blindness. After all, when you are born deaf you don’t develop an inner language. Yes, my experience did help me to create my young racing hero, Sean Devlin, who develops a debilitating stutter as a child and had to endure terrible things. He is truly a hero when he overcomes his stutter for the most part and matures in so many ways. The main theme of “Maximum Speed: Pushing The Limit” is people who overcome adversity are heroes in their own right, without winning any trophies. What did the deaf students teach you about life in general? They taught me that some people are born fighters while others are not. The schools I taught in were just for the deaf. They were segregated from the regular school staff. The hardest thing was finding a traditional publisher to do a four-color book when I was shopping my first book “Celebrity Bedroom Retreats” around. I finally did get one, and they produced a gorgeous book, but it was a difficult journey. I had to get the top celebrities that the publisher approved of and wanted in order to ensure that my book would be a financial success. Using an indie publisher, iUniverse, for my fiction novel “Maximum Speed: Pushing The Limit” has been a positive and enlightening experience. I received a lot of wonderful support. I keep editing myself along the way instead of just writing to the end and then editing it. My advice is just let your story flow and then go back to edit. Rewrites are inevitable. The benefit of writing is that there are a lot of excellent writers, indies included of course, who have great stories to tell and who produce terrific books. Jackie Onassis once said something like, “If you can be transported to another place and learn something new, then the book was a good one.” I was brought up in a household that had its own library. My father, a history professor, revered books and taught us to do the same. I believe any art form is cathartic and personal to each person. It’s mind boggling to me that there are so many wonderful authors out there who, despite all kinds of adversities, still manage to write good books. 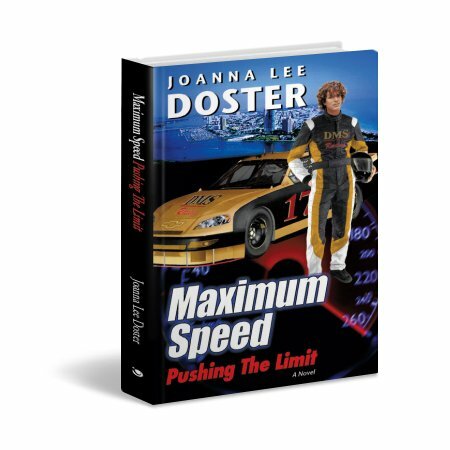 Joanna Lee Doster is a writer and author of the recently published book “Maximum Speed: Pushing The Limit.” Her previously published work includes “Celebrity Bedroom Retreats” and a series of nationally syndicated celebrity profiles that also feature legendary sports figures. She has held executive positions in cable television, communications and the entertainment industry. She and her husband live in New York.